Sophie Didier is Associate-Professor in Geography at University Paris 13 in Villetaneuse and currently on a CNRS sabbatical at UMR LAVUE Mosaïques in Nanterre. Her research in urban studies has been dealing with contemporary dynamics of power in the production of space in the city, the circulation of global urban models, and the issue of urban theory and its location. She was a Fulbright Scholar at UCLA in the 1990ies while working on her PhD which analyzed the transformation of the Disney growth regime in Orange County, California. Recent work has taken her to South Africa to work on issues such as security models and the control of public space. She was Research Director of the French Institute of South Africa between 2008 and 2012. She is currently completing her Habilitation under the supervision of Marie-Hélène Bacqué in Nanterre University around issues of urban memories and the contested understandings of crisis in the city, based on the case studies of Los Angeles, Johannesburg and… Clermont-Ferrand. Laurent Fourchard is senior researcher for the Fondation Nationale des Sciences politiques (FNSP) at the research institute « Les Afriques dans le Monde », Sciences Po Bordeaux. He holds a PhD in History from University of Paris 7 and a « Habilitation à diriger des Recherches » (HDR) in political science from Sciences Po Paris. 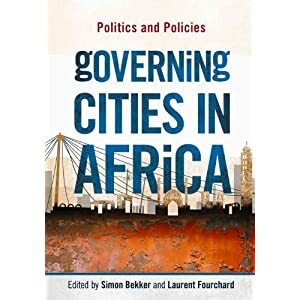 Laurent Fourchard’s research is located at the intersection of African history, African politics and urban studies : his interest focused on youth, regulation of violence and on the shaping of the colonial and postcolonial state and cities in Africa south of the Sahara. He has done historical and ethnographic fieldworks in Burkina Faso, Nigeria and South Africa in the past 20 years. He has edited several books and has recently authored papers on the articulation between violence, security and party politicsin Cape Town, Johannesburg, Lagos or Ibadan in the following journals: African affairs, International Journal of Urban and Regional Research, Geoforum. He teaches African history and urban studies at Sciences Po Bordeaux and in the GLM Master programme at Sciences Po Paris. Tommaso Vitale (CEE, Sciences Po). SEMINAR CITIES « How U.S.-Style Segregation Outlived Apartheid, and Other Tales from a Global History of Divided Cities ».